Cycle along winding roads past ornately decorated farms which testify to past prosperity. Many national monuments can be seen here. Your route takes you past bulb fields and pretty pasture lands, where the air is still particularly high and bright. You visit Hoorn with its many museums and you will see on the Roode Steen square the provincial building from 1632 which now houses the West Friesland Museum. The Museum of the Golden Age. 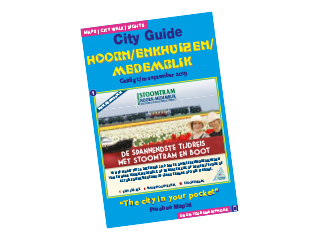 You can also complete this route with a moped, which you can hire from Hoorn Events.